What a blessing to be a member of Bellevue Baptist from 1975 to 1983 and participate in many of those years in the Bellevue Baptist Singing Christmas Tree. Jim Whitmire always did a great job of planning and directing and Adrian Rogers always did a super job with the short concise presentation of the gospel presentation. Today Bellevue has continued that tradition with their present pastor Steve Gaines and the Singing Christmas Tree has marched on through the years but it could have not been possible without the dedication of those in the beginning who made it happen through the Lord’s strength and guiding. 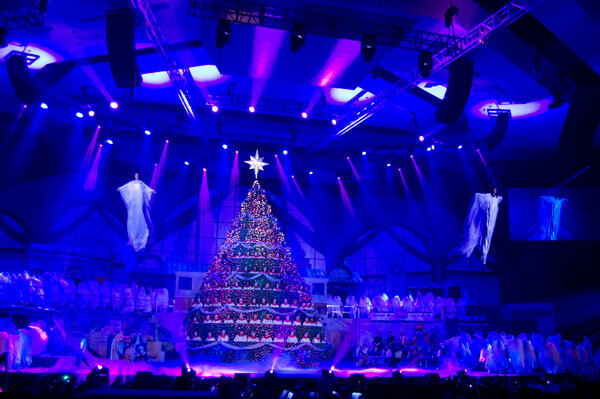 Continuing my annual fascination with singing Christmas trees here is Bellevue Baptist Church’s beauty – a 44 footer with 100,000 lights and 300 cast members. 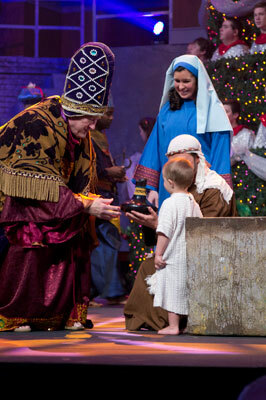 Michael Fields, Tim Simpson, Lynn Laughter and Len Causie sing as a barber shop quartet in the 2010 Singing Christmas Tree at Bellevue Baptist Church. There are few things in life that I enjoy more than singing. My mother was not only an incredible pianist, she had a beautiful soprano voice. My brother Mike and sister Holly inherited her piano abilities, while I inherited her love of singing. Let me back up on that: Anyone who plays the piano knows you DON’T inherit that ability, you work for it! Through the years I’ve sung at church, funerals, weddings and parties. I enjoy singing most when I’m in the shower! I’m not kidding. No one’s looking! The acoustics are good too. The funniest moment I’ve ever encountered while singing was when I was in college. A couple of friends of mine were getting married and I was singing The Lords Prayer during the ceremony. That song doesn’t really move along at a very fast pace. The groom was kneeling on the little prayer bench when he turned his head toward me and uttered, “hurry up”. It wasn’t an audible command, but I could read his lips very well. He was in a hurry to finish the ceremony. I almost started laughing during the song. For five years I sang with The River City Trio, a collection of friends from First Evangelical Church in Memphis. We did mostly Gospel music and sang with an incredible guitarist, Bucky Walters. When one of the trio members moved out of town several years ago that opportunity came to a halt. But as they say, there are seasons to life and that season was over. Our family started attending Bellevue Baptist Church four years ago and I decided to join their choir. I have always admired their professionalism and dedication to excellence. That choir has really become my community of friends. A former tenor, my voice has changed through the years and I’m very comfortable singing baritone or bass these days. 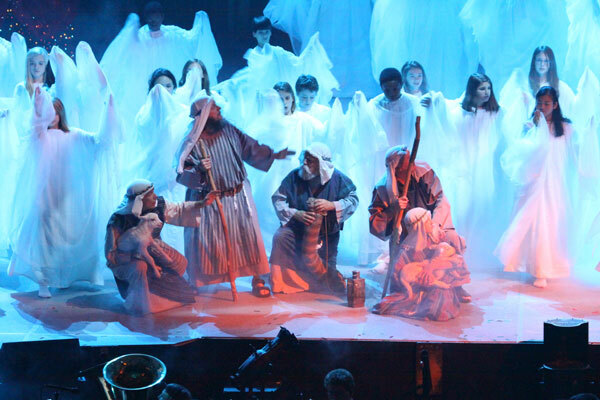 I had the opportunity to sing in the Pit Choir during this year’s performance of The Singing Christmas Tree which just concluded a five night run on December 15th. Pit Choir provides a little extra behind the scenes vocal support. The difference between on stage and off stage–when you’re off stage you have more time to visit and partake of the various snacks that seem readily available during this time of year. 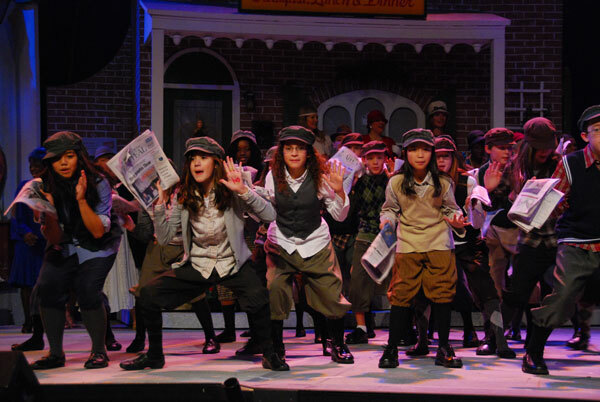 I also had the opportunity to sing in one short scene on stage. I sang in a barber shop quartet with several of my friends, Michael Fields, Lynn Laughter and Len Causie. It took us a couple of nights to deal with struggling voices, but once healing kicked in, I thought it came off very well. We had a wonderful time together and the Pit Choir made some good memories. 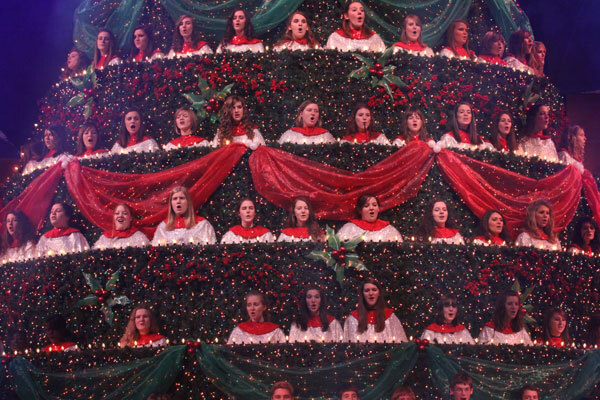 The holidays are fast approaching and for our family the Singing Christmas Tree at Bellevue Baptist Church in Memphis, TN is pretty much a tradition. The production is AMAZING! I really don’t know how Broadway could top it. We received our brochures in the mail yesterday and the story line this year is about an orphanage and is set in 1912 in New York. I cry every year already so the thought of orphaned children is a sure sign to stash the kleenex in my purse. The nativity scene gets me every time. They go to great lengths to make it as realistic as possible. It’s absolutely breath taking and for me, it sets the tone of the season. 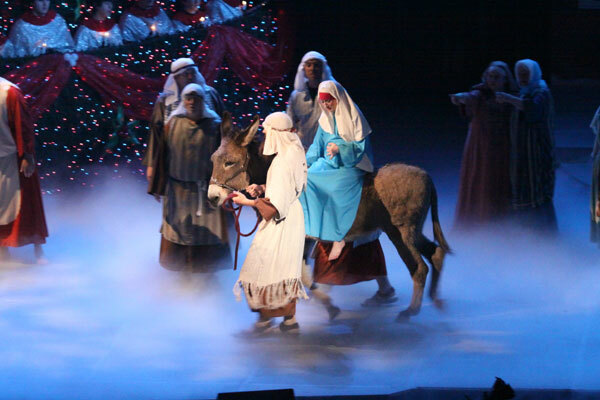 I have to say..the angels flying over the audience is one of my favorite parts. I guess it’s the kid in me. 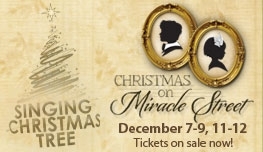 Don’t miss it..go to their website and purchase your tickets..you’ll be glad you did. Mine are already on their way! Links to articles on Antony Flew’s conversion from Atheism to Theism from March and April 2014 on www.thedailyhatch.org !!!! Here are the links that prove Antony Flew’s conversion from Atheism to Theism was covered better on www.thedailyhatch.org than anywhere else!! !